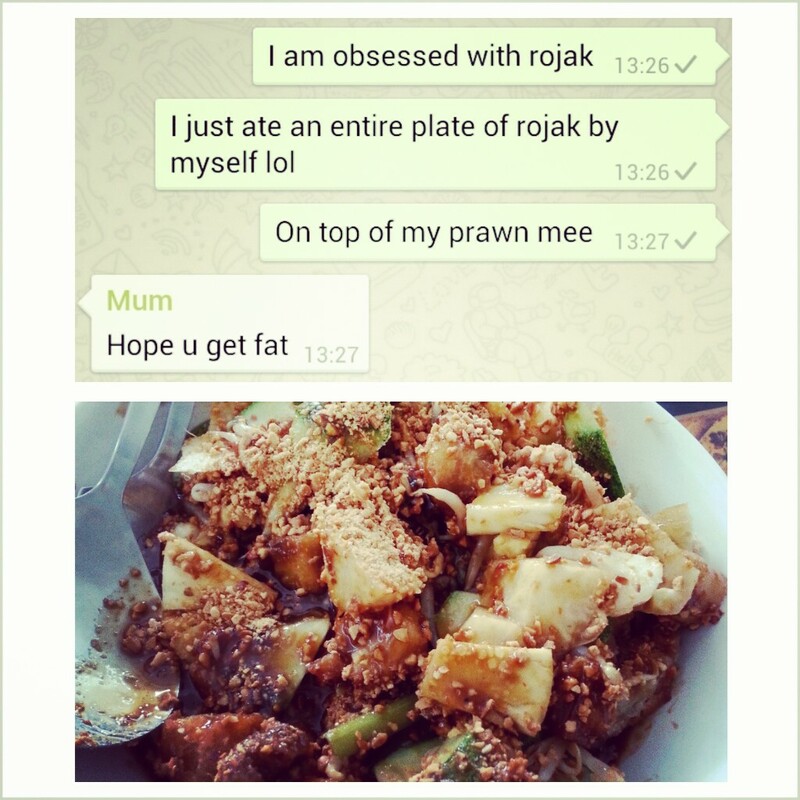 I AM OFFICIALLY GOING THROUGH A PHASE WHERE I AM OBSESSED WITH ROJAK. its the strangest thing because i never used to like it this much. it was something i wouldn’t mind having to share while at a hawker centre, but over this easter break, it has become (for seriously unfathomable reasons – i am so puzzled) something i NEED to have whenever i see a stall selling it hahaha!!! for the confused non-singaporean readers out there (hello! you should really make a trip to singapore one day to FEAST if you love food as much as we do) – rojak is “a Singaporean-style salad of beansprouts, greens, tau pok, you tiao, pineapple, cucumber, and peanuts tossed with a prawn paste.” (thank you google for that definition) it’s kind of like a traditional local salad we eat here in south east asia, and can also have sweet turnip, green apple, mango and cuttlefish as ingredients, just to name a few. as you have probably gathered, it is a dish where anything goes – a whole range of ingredients can be added; in fact, rojak is malay for “mixture”, hence the very apt name for the dish. i think what sets good rojak apart from the rest is its sauce, and this soon heng silver stream (what a mouthful) rojak was drenched in a delicious sauce. it was the perfect mix of sweet and sour (though my dad noted that it was sweeter than most other rojak sauces – but that was what made it nice!!!) and they were ultra generous with the peanuts. 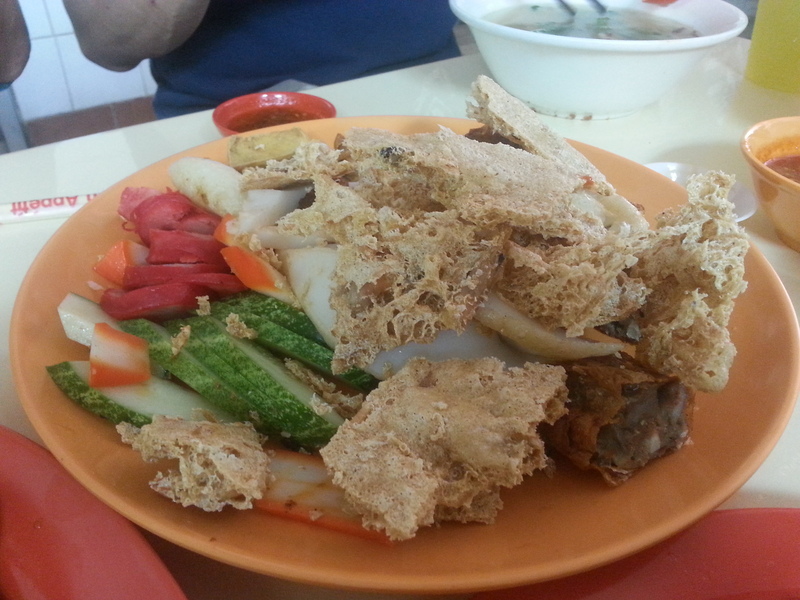 they also add cuttlefish into the rojak which not every rojak stall does, and our $5 serving was a really big one for its price. great value! 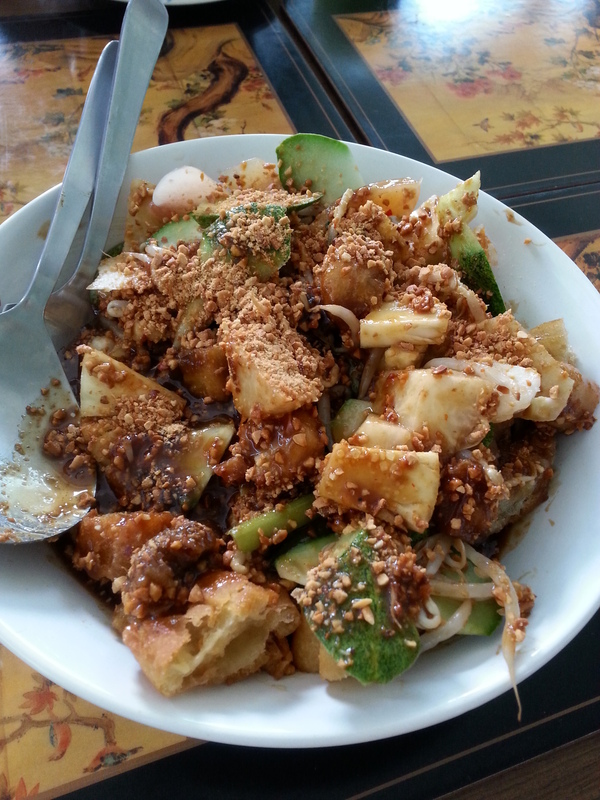 definitely my go-to place for rojak at the moment, till i find one that can beat this heehee. have been dreaming of it since i last had it, and MOSDEF need to go back for more this weekend before i fly back to london for exams ugh. PPS. yes, she genuinely wants me to get fat. 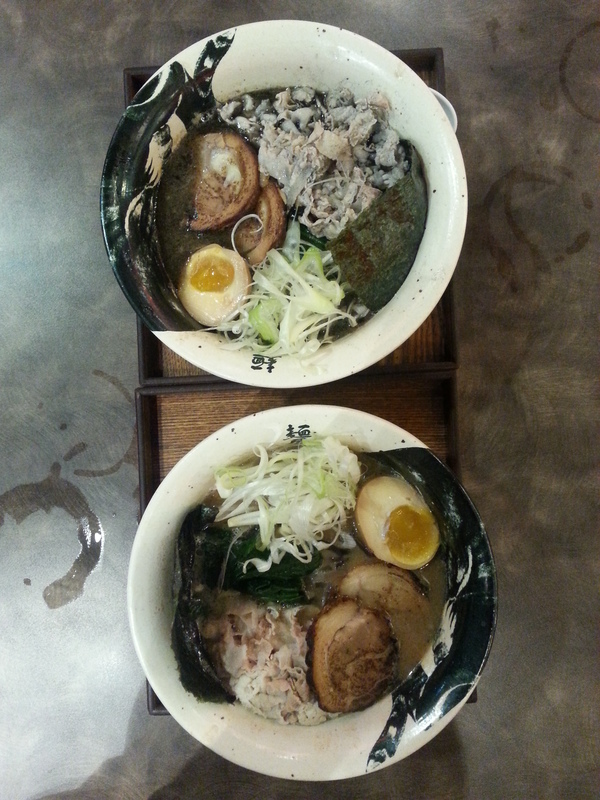 ramen is all over singapore! there are way too many choices – so much so that everytime i feel like having a good bowl of ramen, i end up spending more time searching which shop i should go to and reading reviews than actually eating the bowl of noodles. 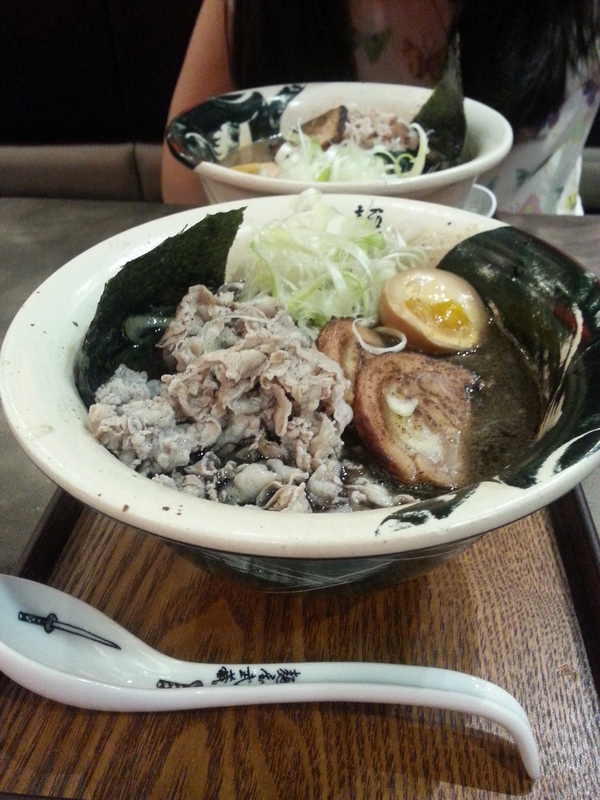 this time, the choice was menya musashi. i used to wonder how good it was when i saw the snaking queues outside the raffles city outlet and this time, it was the outlet at ion orchard that we headed to to see whether it was really worth the queue! this shop is supposedly one of the most popular in tokyo, and their specialty is the tsukemen, where the ramen and soup are served separately and you are supposed to dip the noodles into the soup with each bite you take! wasn’t feeling particularly adventurous that night so i stuck to the ramen we are used to – a piping hot bowl of delicious noodles. their menu is pretty straightforward: they have a black, white and spicy soup base and for each soup base, there are 4 options, each differing based on the amount of toppings given. we ordered one bowl of black big tiger ramen and white big tiger ramen. what’s the difference between the white and black soup? 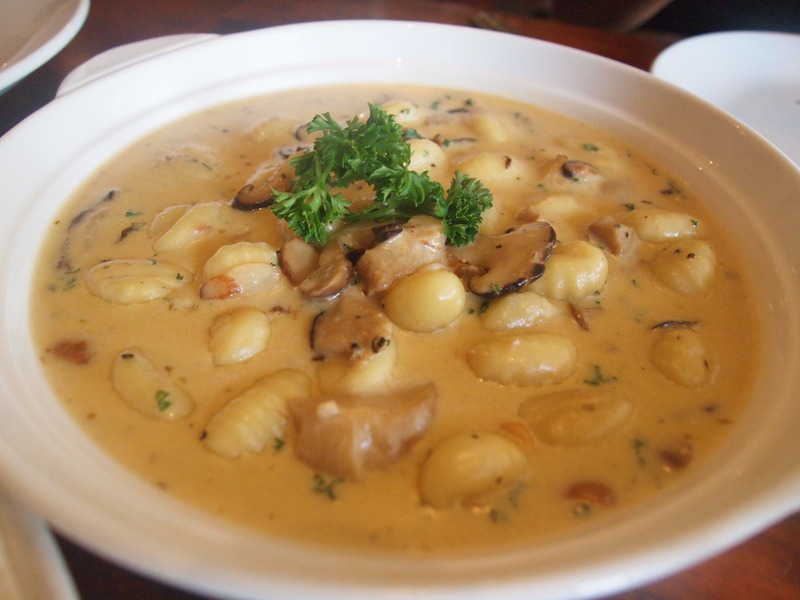 the black soup is more garlic-y and also a little saltier – a heavier soup in general. the “big tiger ramen” comes with the most toppings; i suppose its meant to be the “top of the range” bowl (at SGD16.90) – it comes with a mixture of shabu shabu pork and cha shu, half an egg, and a whole bunch of other garnishings. it was the most expensive on the menu but i would say it was very worth the money. 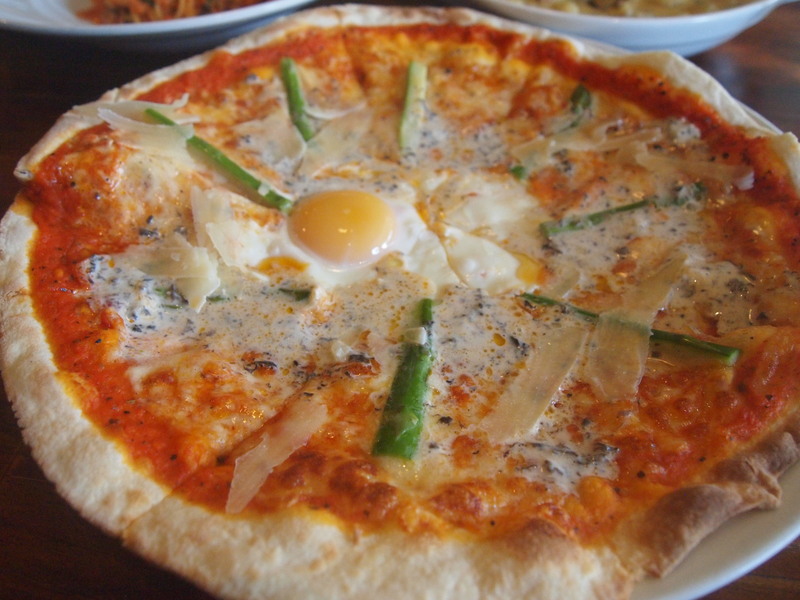 i have to say, they are EXTREMELY generous with the toppings, which is what i really liked. every bit of noodles could be eaten with something (unlike some other bowls of ramen where its just a lot of noodles with a few measly slices of pork) and the cha shu was one of the best i’ve had with ramen! it was cooked to perfection – tender and very very tasty.as for the soup (which is key to any bowl of ramen), it was definitely not what i was expecting. 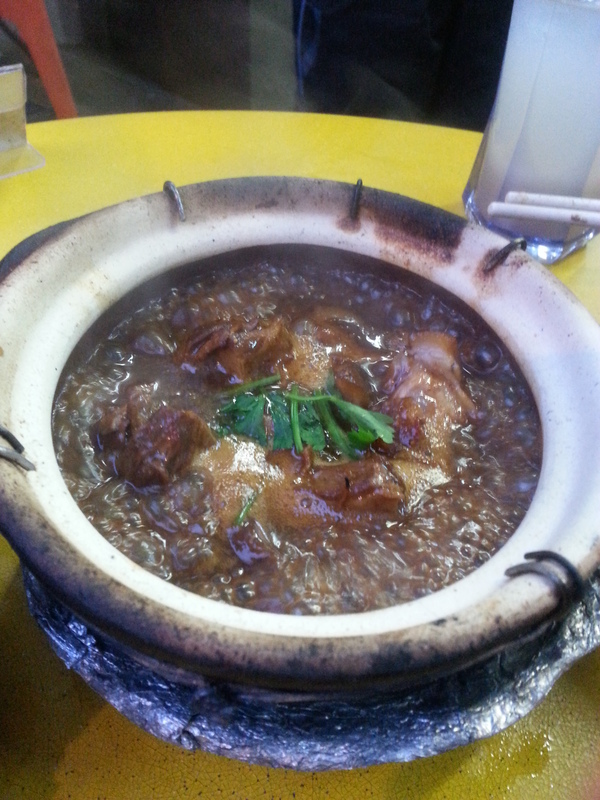 it was so thick that it was almost like a gravy – i think i remember remarking that it reminded me of lor mee gravy. don’t get me wrong – it tasted good, but was just much thicker than i had imagined soup for ramen would ever be! because of the super generous amounts of toppings given and the extremely thick broth, it was a very filling and satisfying bowl of noodles. definitely not something that everyone will like though, as its not the normal tonkotsu/shoyu soup that most of us are used to. however, another good thing about it was that i didn’t feel too thirsty after the meal, which means the tastiness is pretty natural and doesn’t come from too much msg! 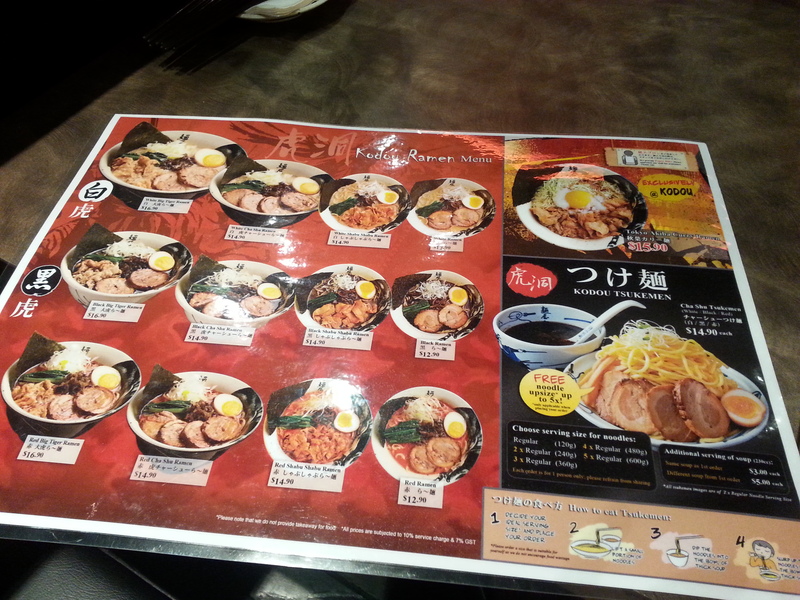 out of sheer coincidence, the lady sitting next to me on the bus home had had her dinner at menya musashi as well. i sheepishly (or shamelessly?) admit that i eavesdropped on her phone conversation as she recounted to whoever was on the other end of the line how her shoe-shopping trip failed because apparently shoes that are both comfortable and nice-looking just do not exist, and how she did NOT like her ramen at menya. 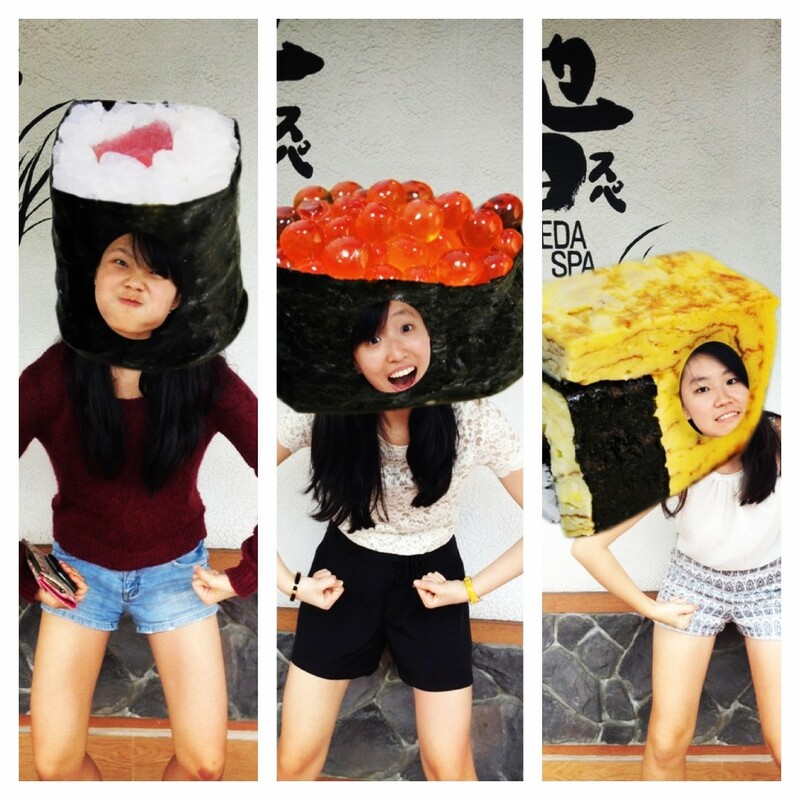 in her words, she said it was “super gao” (gao = thick in hokkien dialect, for the uninformed). she also complained that she didn’t get to drink coke because they only serve pepsi (heads-up for all coke lovers out there lol). who i would recommend this to: people looking for a different sort of ramen, either the dipping sort (if you are interested in trying something new) or one with an extremely thick soup. guaranteed to be a filling meal! i’m not sure how crowded it normally is as we went early and on a weekday but given the crowd i’ve seen at dinnertime at the raffles city outlet, i’d say its best to go early to beat the crowds. when we went at 630pm, there was no queue, but there was a steady stream of customers. will i go back? 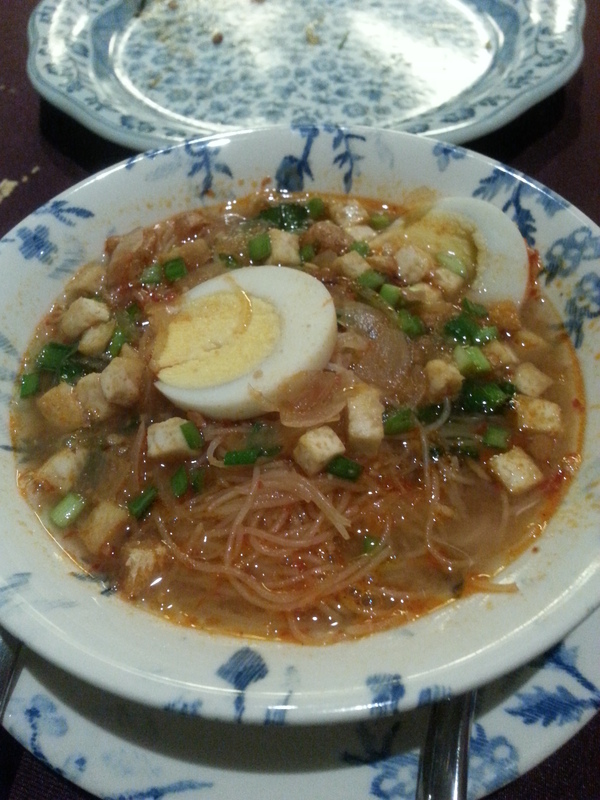 i don’t really foresee myself going back in the near future unless i’m craving this sort of ramen. i think i still prefer the normal soup bases, though this is an interesting change. 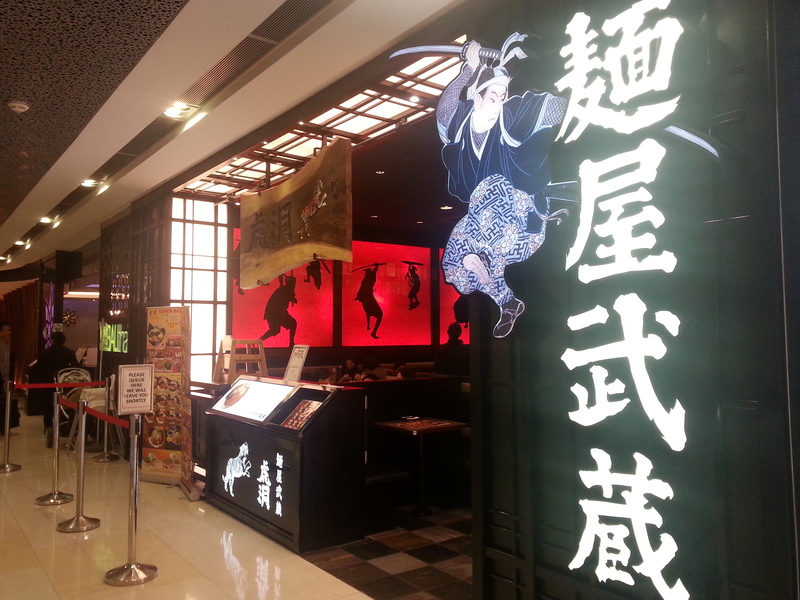 probably the kind of place i’d consider going to if i’m in orchard with no food ideas and am craving some ramen. i’d definitely say its worth trying at least once though! i had been wanting to try this place for the longest time after hearing from a friend that they serve red velvet pancakes. 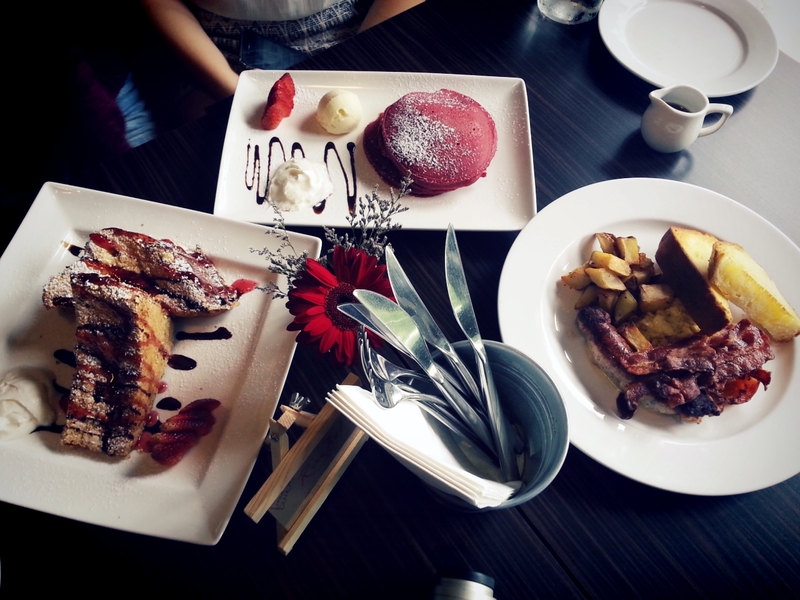 red velvet and pancakes??? i’m personally not a huge fan of red velvet (don’t really understand the hype that always seems to come with it), but the idea of the 2 combined sounded rather novel and enticing nonetheless. made a trip to this new york-inspired diner found at a rather nondescript row of shops just before 6th avenue on good friday. my mother remarks every single time we drive by the row (which is often since I stay a stone’s throw away) that the restaurants there always seem to be struggling, with few customers each time we’ve passed them. the shops change hands frequently and I didn’t even know this place had popped up there! i really hope it stays though, because it was a satisfying meal and i will certainly be going back for more! 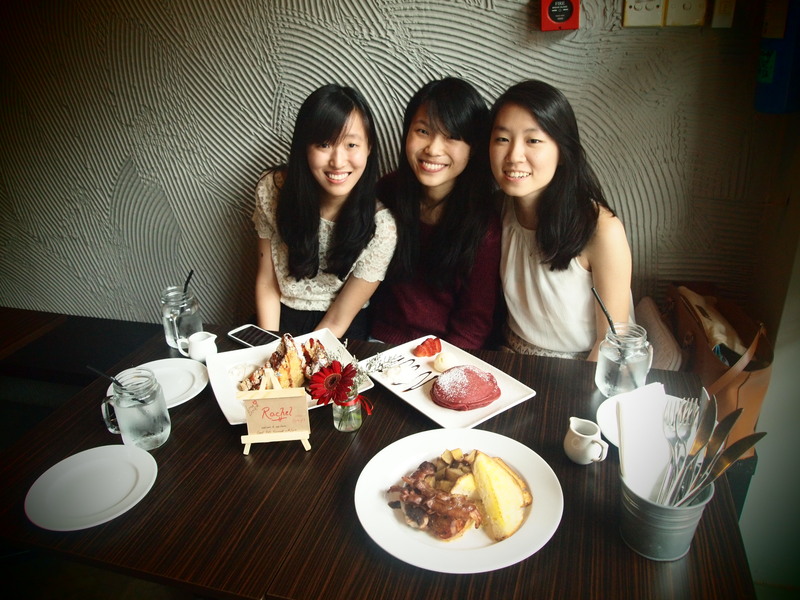 we ordered 3 items from the brunch menu (that is served only on public holidays & weekends) – the epic breakfast platter (a special), delancey red velvet pancakes & cereal-crusted french toast. the cereal-crusted french toast was a real crowd (they say 3’s a crowd :P) pleaser – the toast was ultra thick and of just the right moistness – the texture reminded us a little of bread & butter pudding. It was sufficiently covered in sauce while not being completely soaked, and the cereals added a nice bite. we loved every bit of it!!! 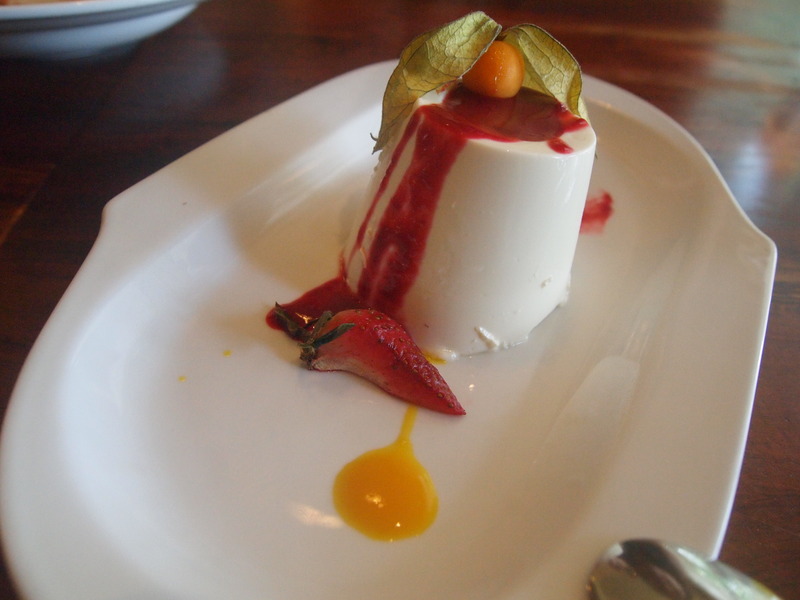 for some reason, the pictures make it look rather cloyingly sweet (I think its the bright red of the berry coulis) but it wasn’t the case at all! Super cereal-crusted french toast: showered with powdered cinnamon sugar, whipped cream, berry coulis & maple syrup. the red velvet pancakes were good, but none of us are particularly diehard fans of red velvet so we weren’t exactly raving about them. the pancakes were done really well though – of the right thickness, fluffy, and with a nice red velvet flavour, nothing too overpowering. they came with frosting that looked like a scoop of ice cream (what is red velvet without cream cheese frosting?) and it was good stuff! i think more toppings (mixed berries would have been wonderful) would have made the dish better though! although i understand that they were probably trying to stick to traditional red velvet – just cake and frosting, i got a little sick of what i was eating about 3/4 into my pancake (and so did my friends!). can’t imagine what it would’ve been like to have the whole serving of 3 pancakes to myself! but they were still yummy, so don’t let my less-than-stellar review deter you from ordering them; i do think they are still worth a try! 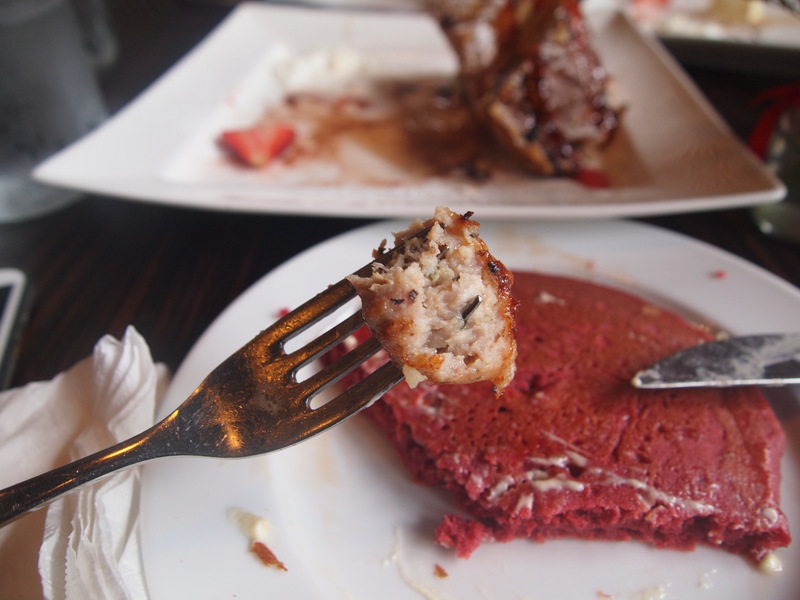 delancey red-velvet pancakes: showered with cinammon sugar, cream cheese frosting & maple syrup. the final thing we ordered was from the specials menu – the epic breakfast platter. given that it was priced higher than the other 2 items we ordered and its name (“EPIC”), we were expecting something either huge or super extraordinary. unfortunately it was neither, though it was a very delicious traditional fry-up. the sausage was made of kurobuta pork, and it was juiciness, crunchiness and tenderness all in one roll – good stuff!!! as for the bacon, it was fried to perfection and the thick slices of toast went great with the scrambled eggs. the potatoes were also very well done and so was the grilled tomato. 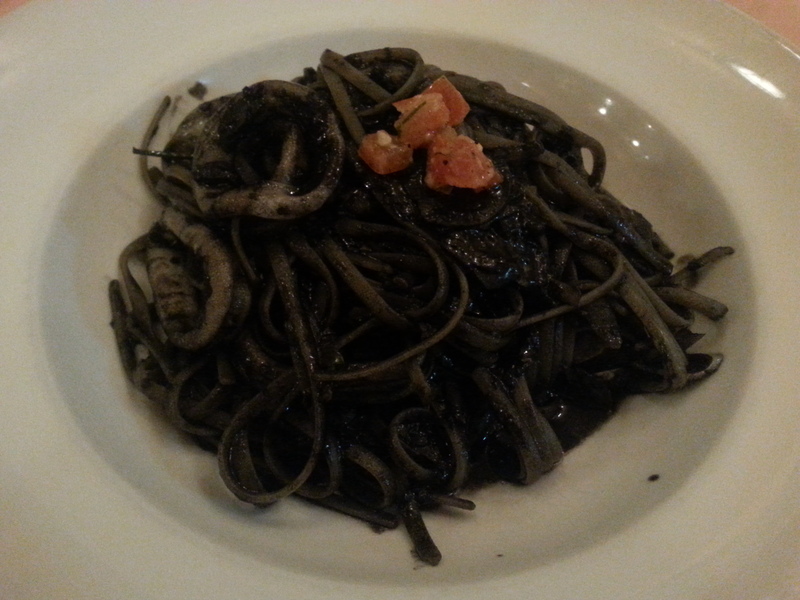 it was not too oily and overall a very enjoyable and satisfying plate! 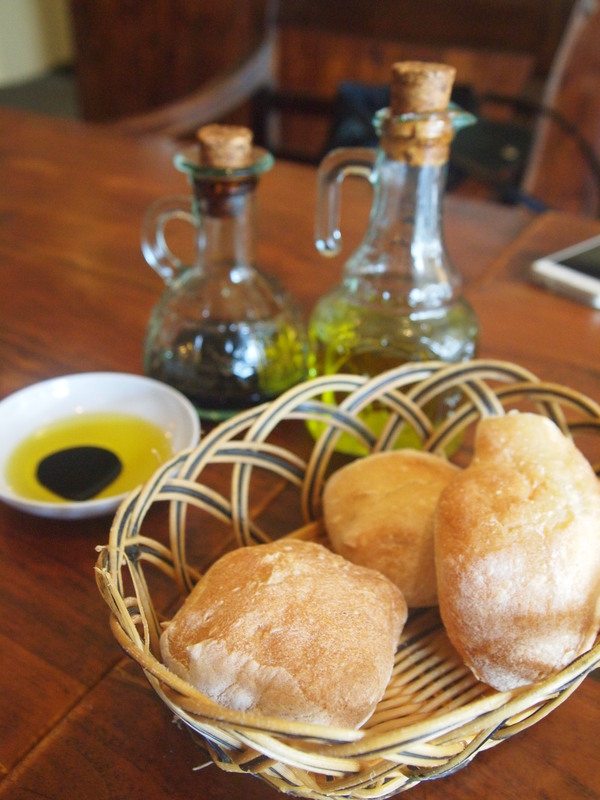 besides the great food, the service at little dinner is also amazing. 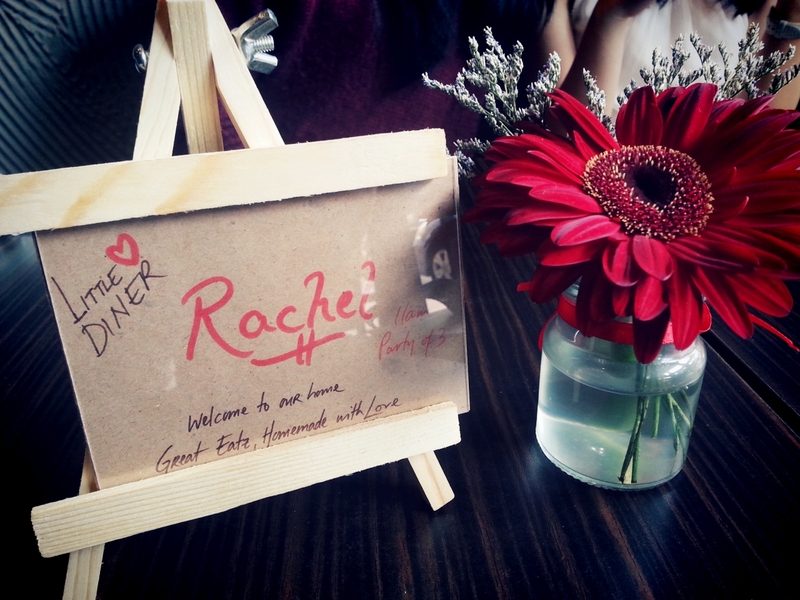 check out what greeted us at our reserved table when we arrived – such a simple but sweet touch! 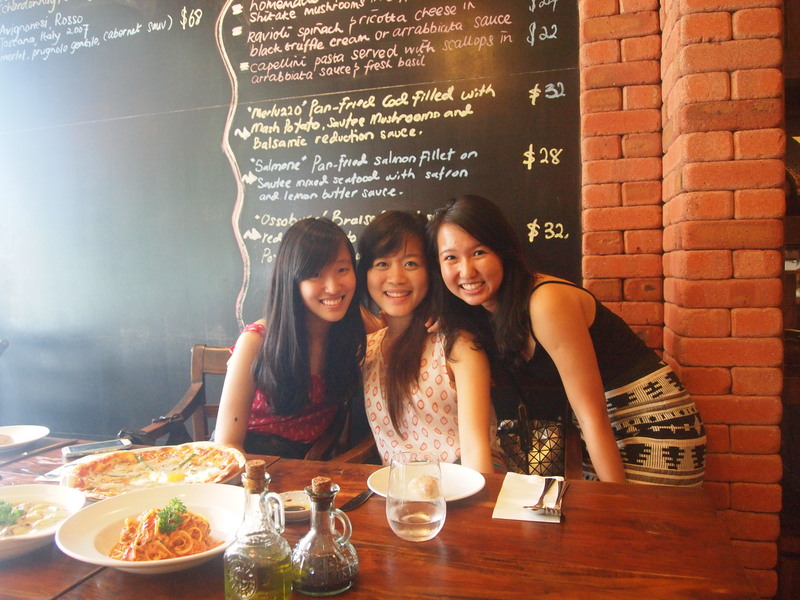 the staff were also extremely sincere and friendly, happily chatting to us and patiently acceding to our numerous photo requests (the waiter helping us take a picture even re-arranged stuff on the table several times to make the shot look better hahaha! that was at the start of our meal and we were sold on the place from that point onwards ;)). 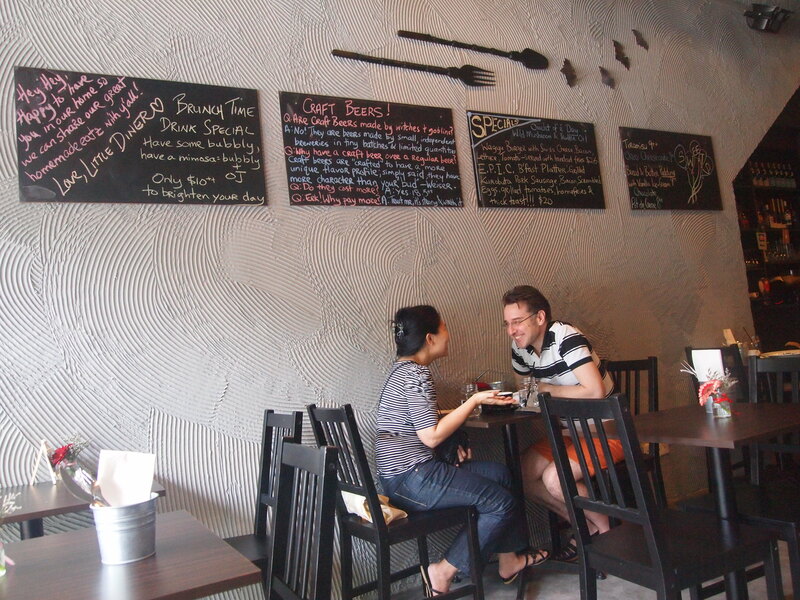 they also have some specials everyday written on blackboards in the cafe. 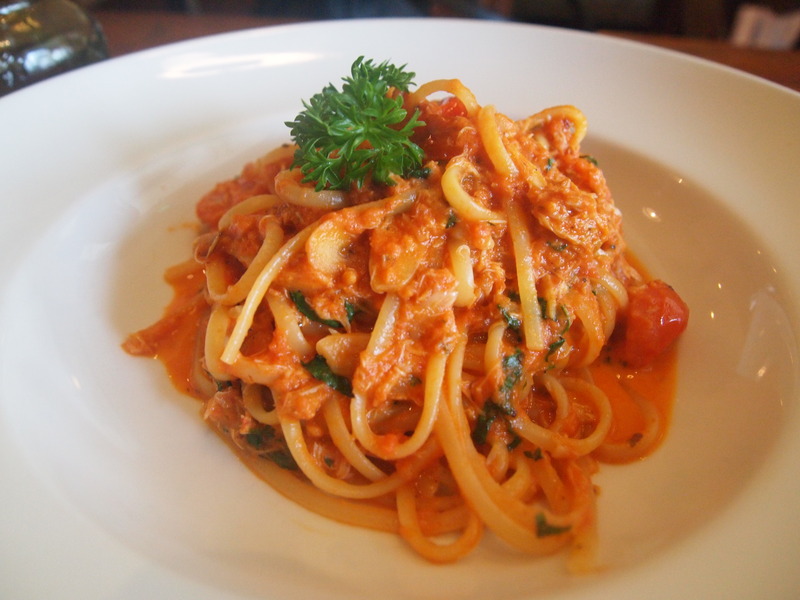 who i would recommend this to: people looking for a casual place for a relaxing meal. 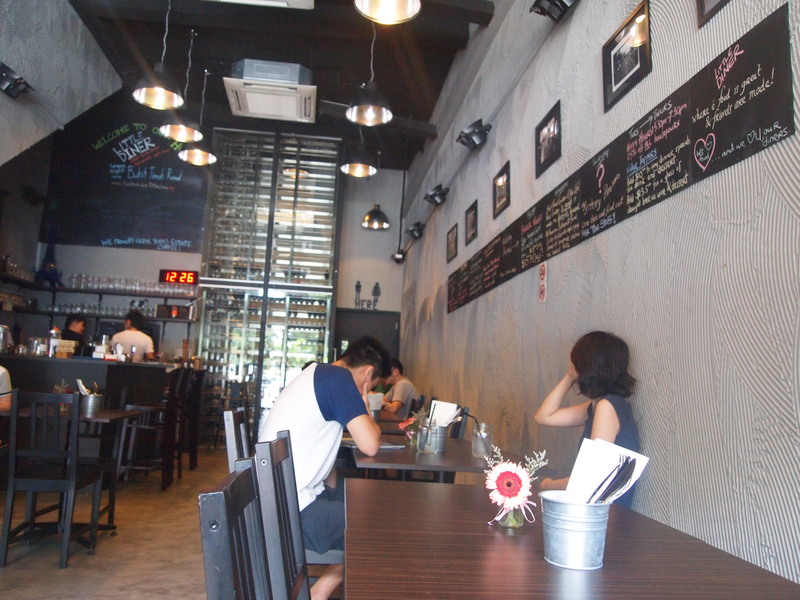 the interior of the place is rather simple but that’s what makes it laidback; it is the kind of place i’d go to on a sunday morning with my newspapers and without having to dress up. 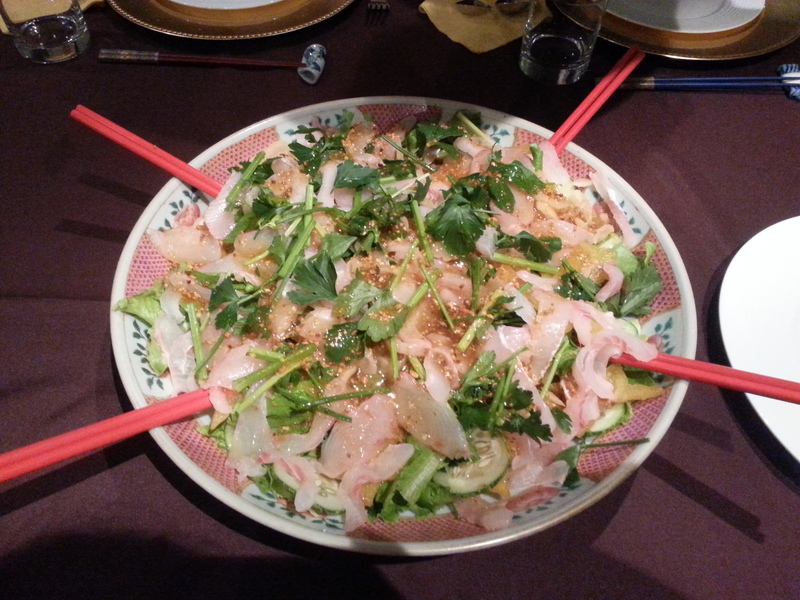 the service is great and staff are really friendly, so you feel at ease while having a leisurely meal. 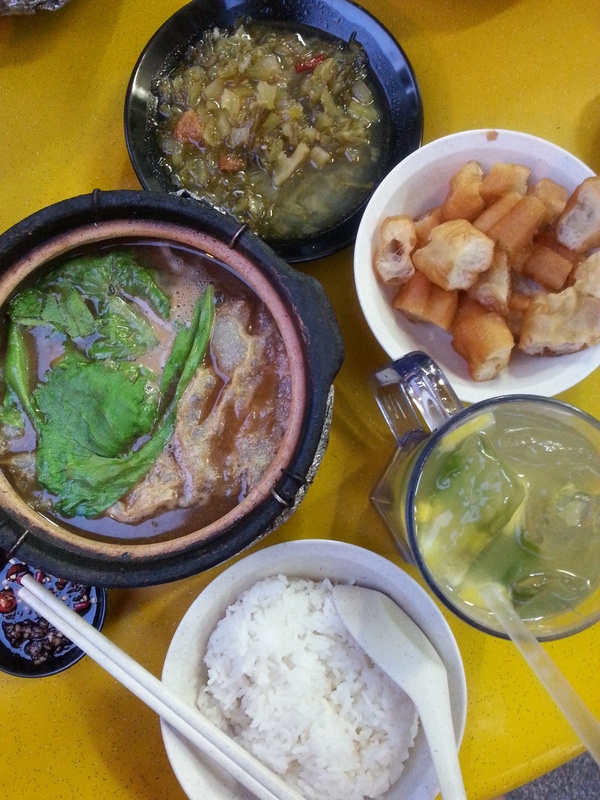 Singapore = food, food and more food. And not just any food – amazing, delectable, delicious, mouth-watering, wonderful, sensational, marvellous, FOOD GLORIOUS FOOD. one of sheer joy and excitement. 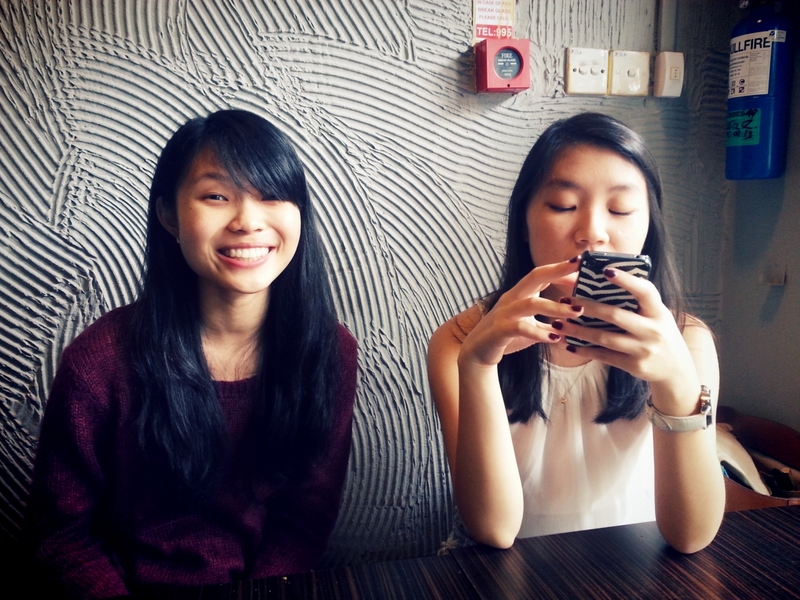 my eyes light up like the high beam lights on my car when i see food. 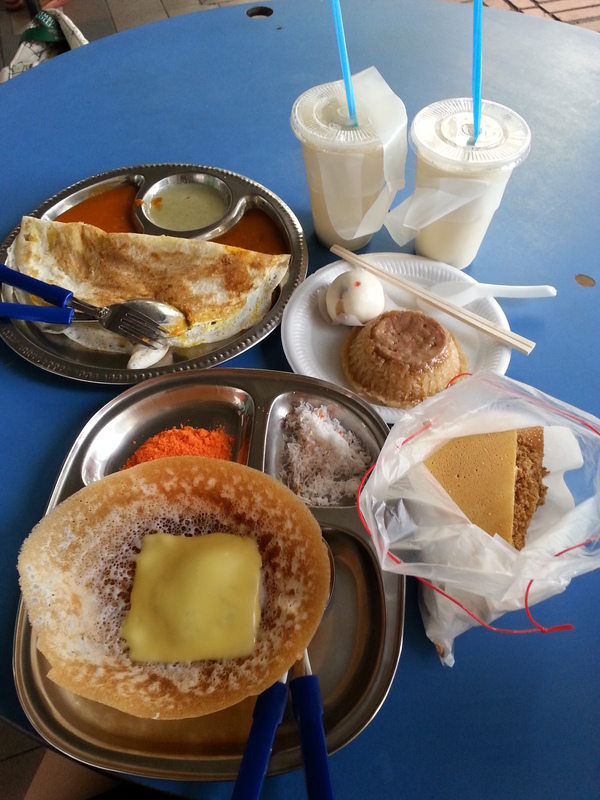 food from SINGAPORE. 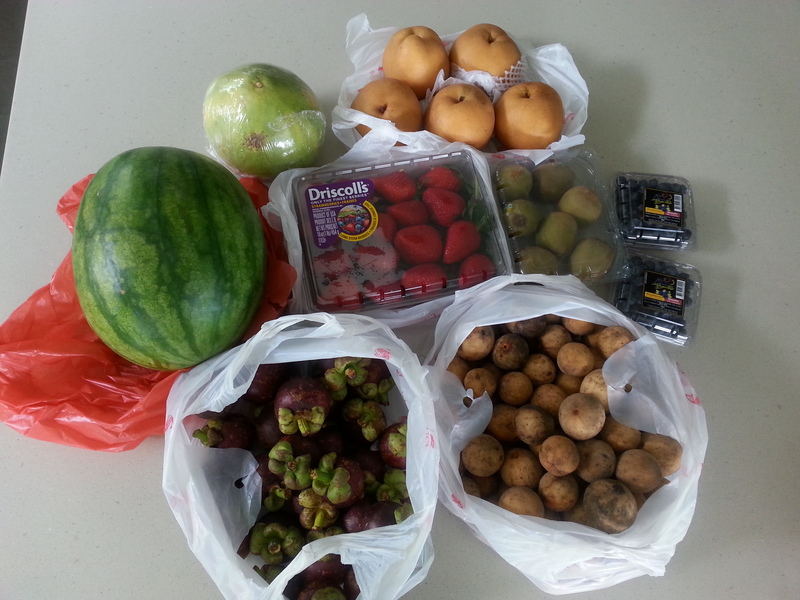 food from HOME. took a while to get down to writing this post because i had some issues transferring pictures from my phone to my computer but its all been sorted now, so here i am!!! TIP: Toa payoh central currently has a grand total of 5 (or more???) 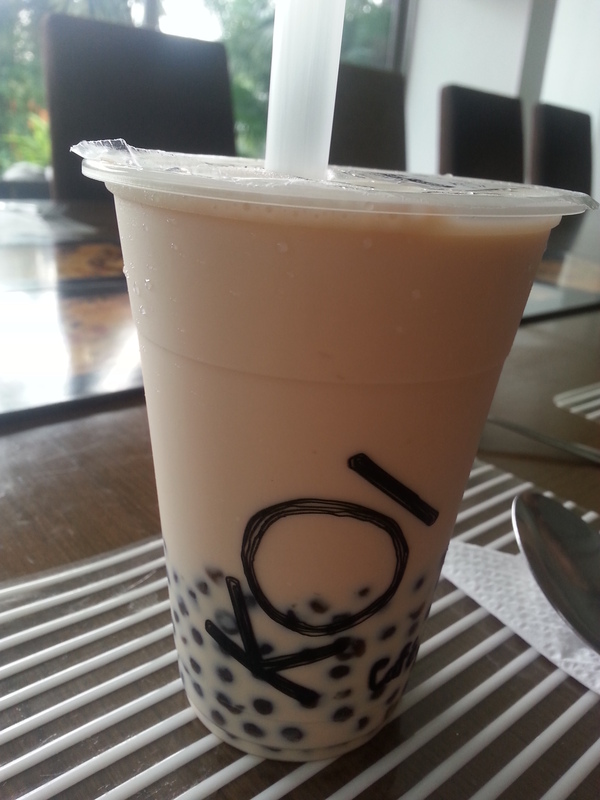 bubble tea stores. 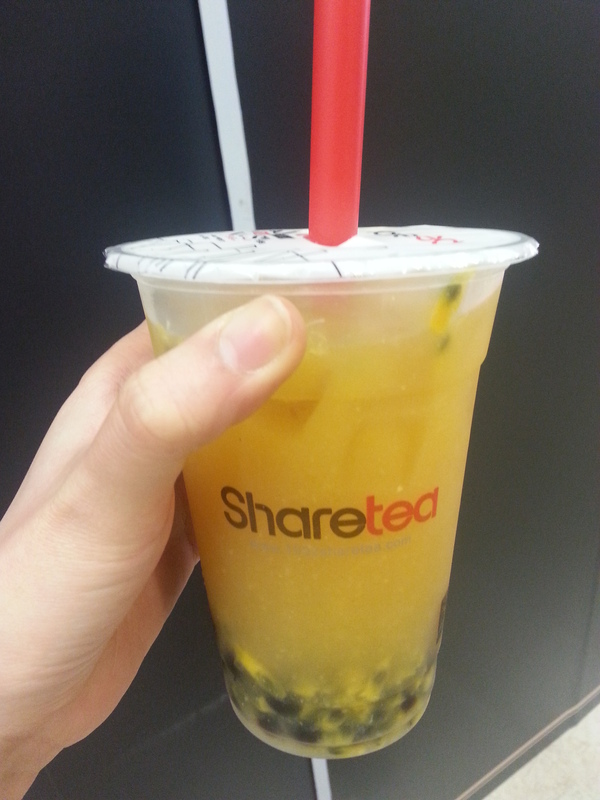 perfect for a bubble tea drink trail? hahaahah. 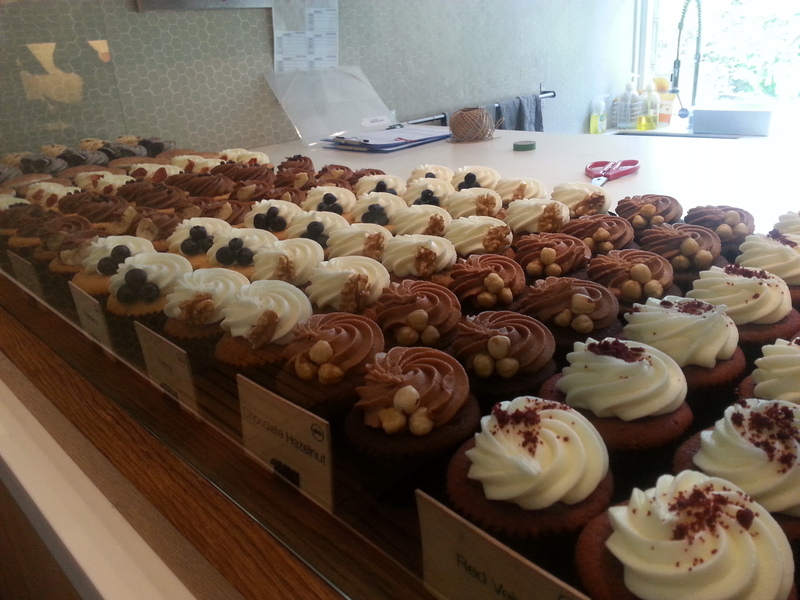 3. finally tried plain vanilla cupcakes from holland village after hearing so much about them – and i think they are definitely better than the ones at twelve cupcakes!!! maybe it was the outlet of twelve cupcakes i went to, or maybe they were having a day where their cakes were a little off, but i was unimpressed when i tried the cupcakes at twelve cupcakes! i found the cake too dry and more like a muffin than a cupcake, whereas at plain vanilla, their cupcakes are denser and more moist – how i think a cupcake should be! 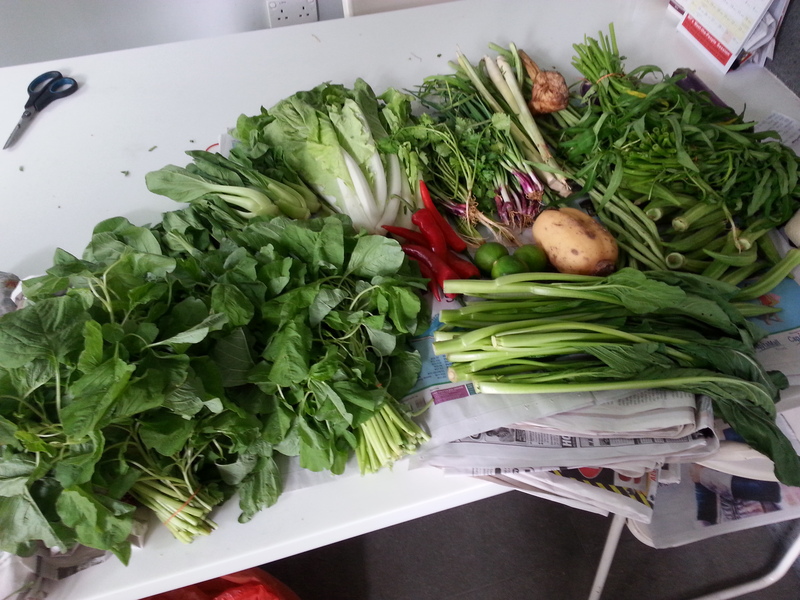 didn’t realise how much i missed my legit asian veggies till i saw what my mother brought home from the market. think she got a little excited at the prospect of me being home and went all out with the marketing hahaha! but i’m not complaining. 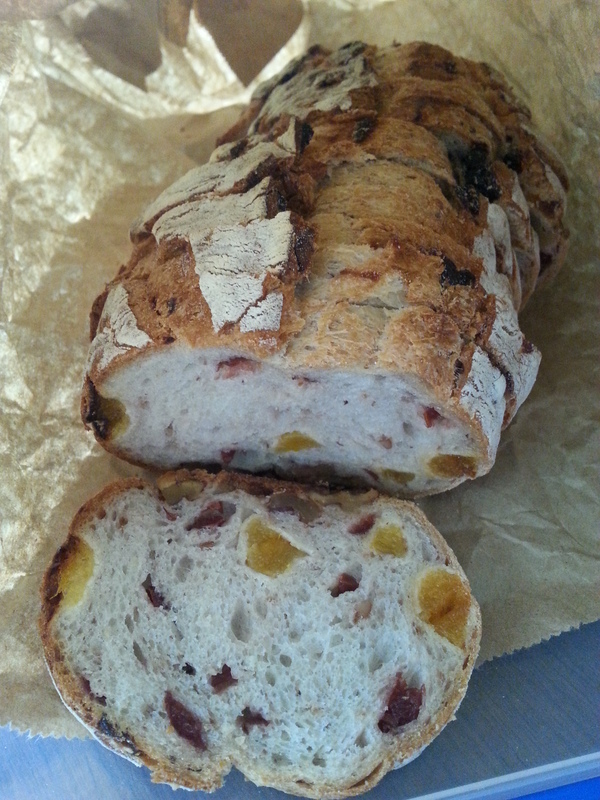 freshly-baked fruit & nut loaf from baker & cook, a lovely little shop near my place, perfect for me to pop by for some good bread! 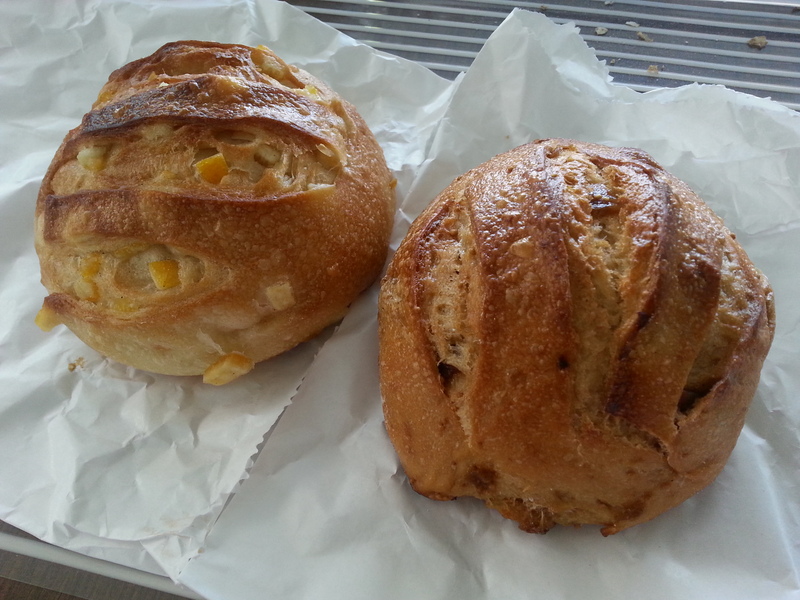 more yummy breads, from Maison Kayser this time – orange bread (L) and fig bread (R)! YUMMY. 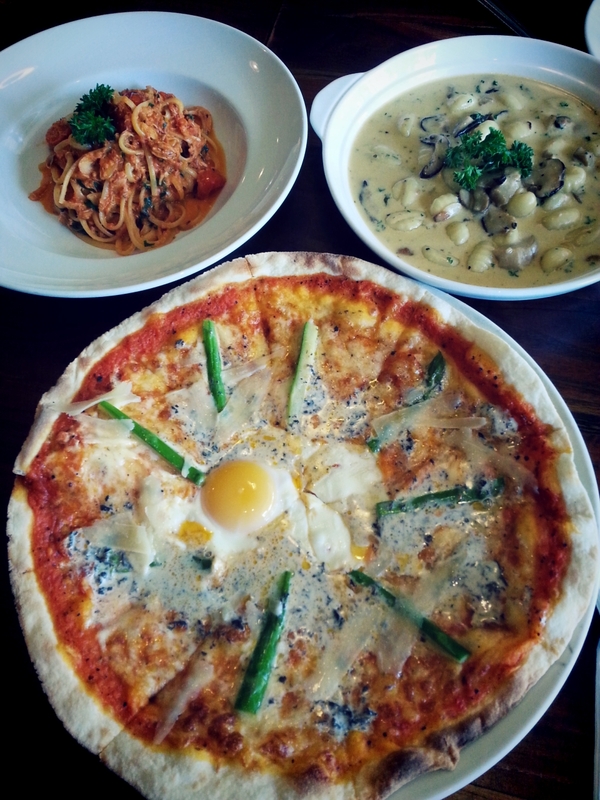 i love the pizzas they do at pepperoni’s too; they have the GINORMOUS family-sized ones which are always exciting and what i love is that they can do 2 flavours on 1 pizza! 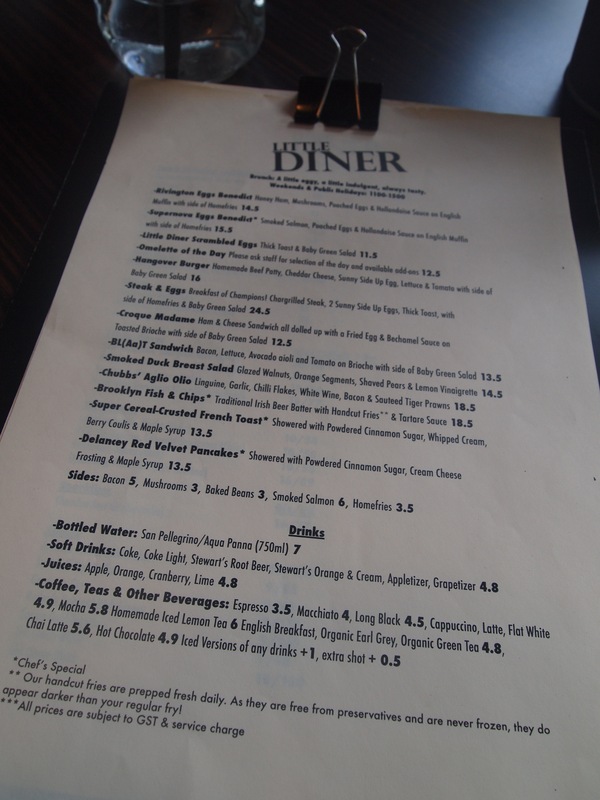 my favourites are the suprema, parma ham, frutti de mare, and the pancetta, and omg, you HAVE to try the giant portobello mushroom appetizer if you are there – it is to die for, especially if you are a mushroom lover like i am!!! 10. homecooked wonders: i am so lucky to have a maid that is an AMAZING cook at home. 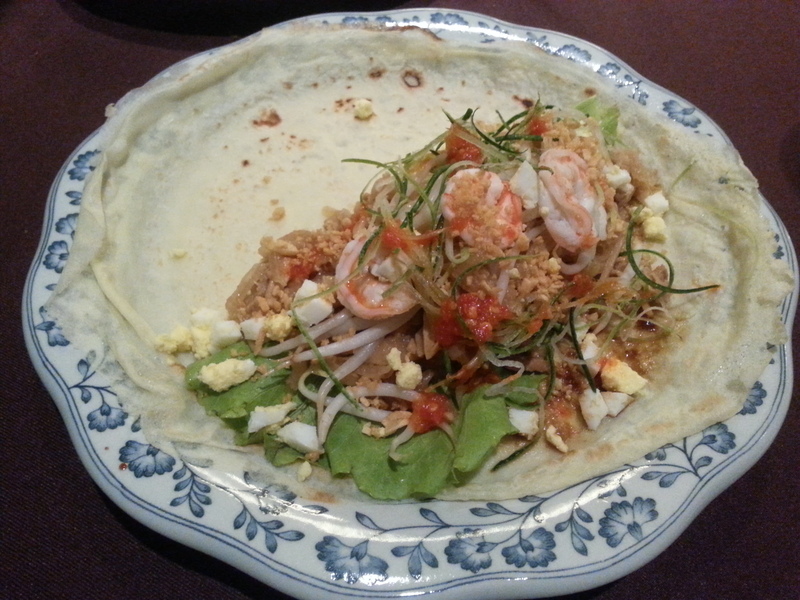 here’s some of the stuff she has whipped up since i’ve been back – i have decided that i shall write a post on her one day hahaha just to honour her cooking prowess and skillz. 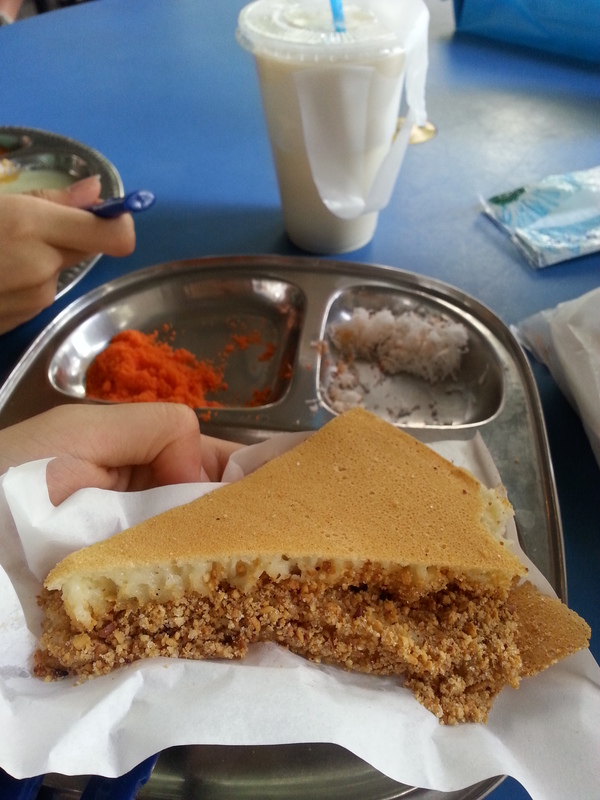 okay she didn’t cook this – we had it delivered hahahaa but still yumzzz. 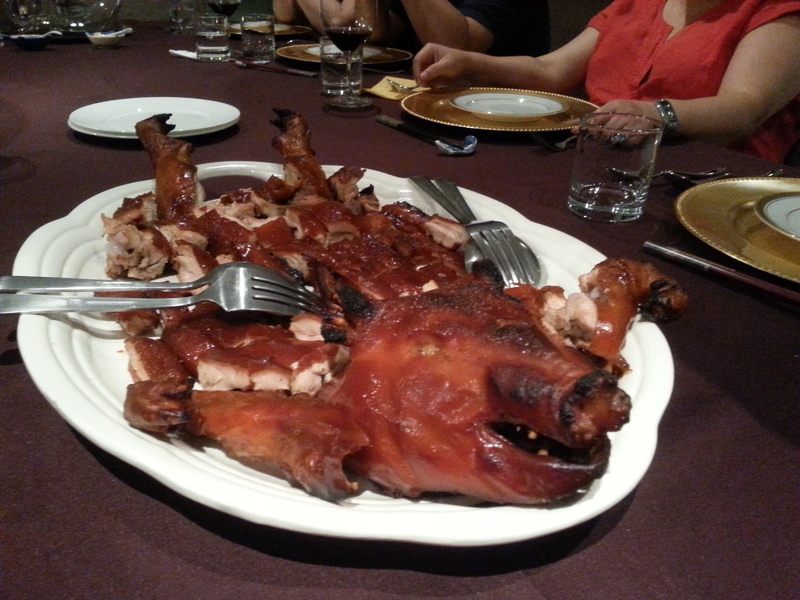 and i was super intrigued by how the pig is SMILING.. do you see it too!?!? 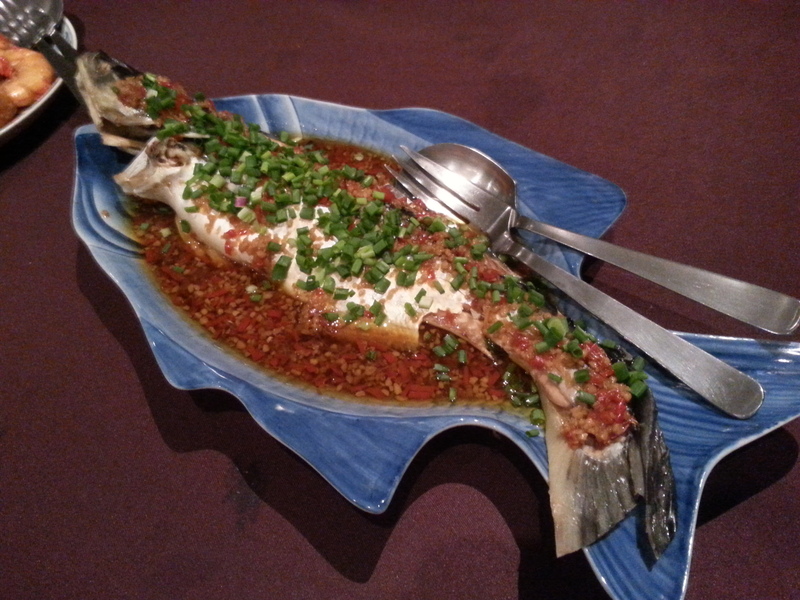 steamed fishhhh – something i have missed!!! 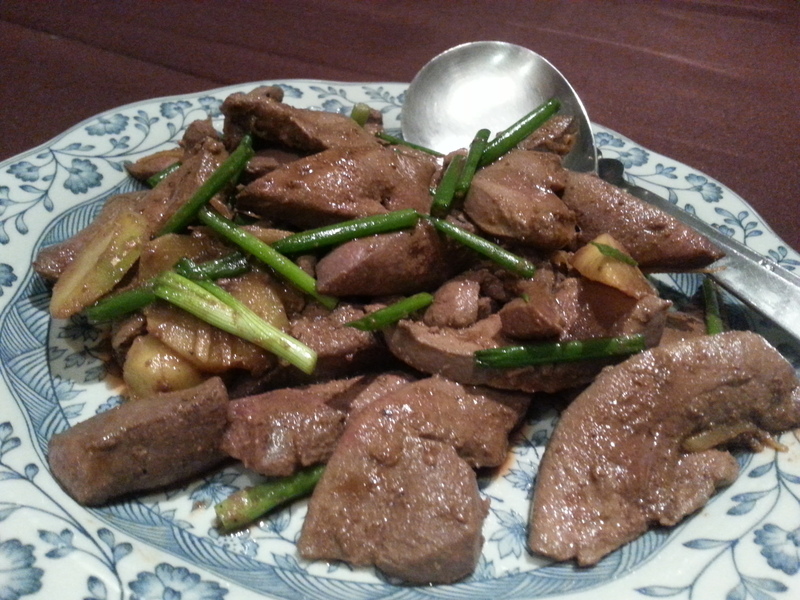 liver cooked to perfection – credit goes to my mum for this!!! 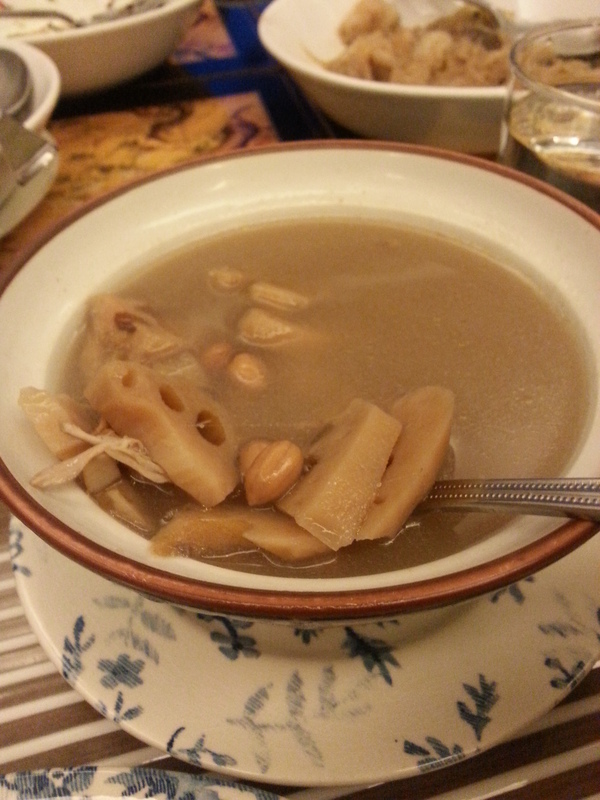 my all-time favourite chinese soup – lotus root and peanut soup! omg i could eat bowls and bowls and bowls of this. 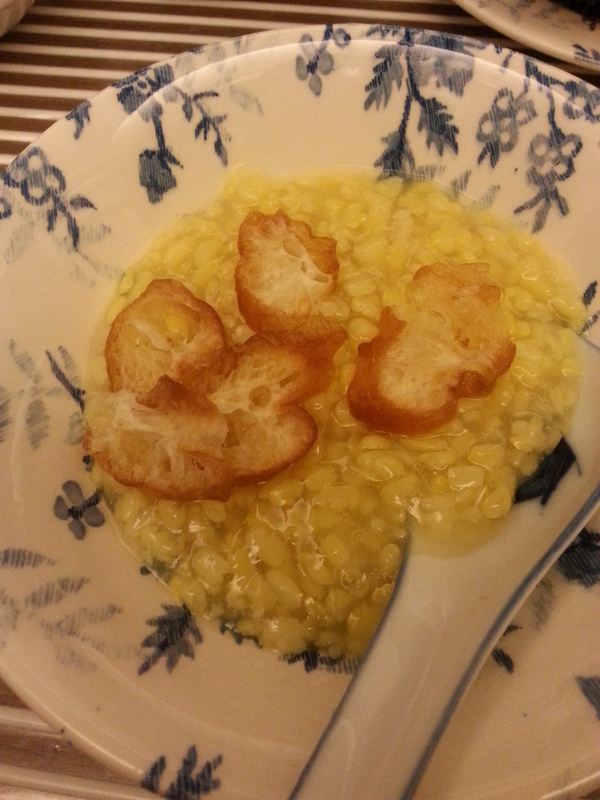 tau suan!!! 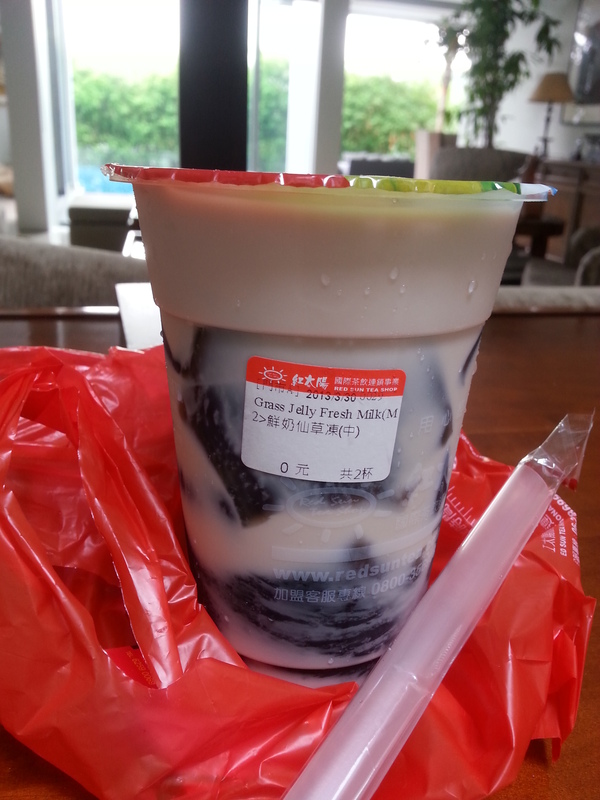 one of my favourite local desserts. she makes a mean pulut hitam too (Y) simple homecooked noodle soup with ikan bilis and an egg done just the way i like it – ah, how good it is to be home!!! 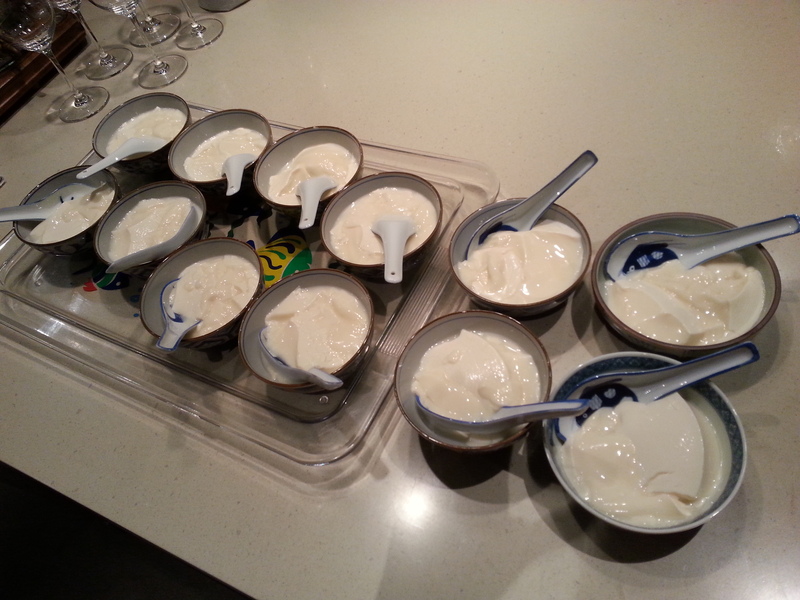 11. tau huay – lots and lots and lots of it. 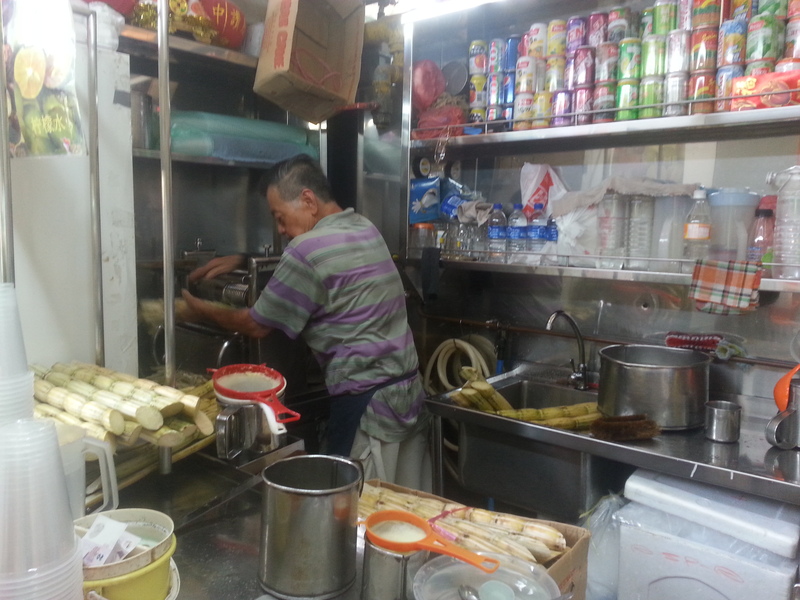 12. sugar cane juice!!! oh how i have missed you. 14. 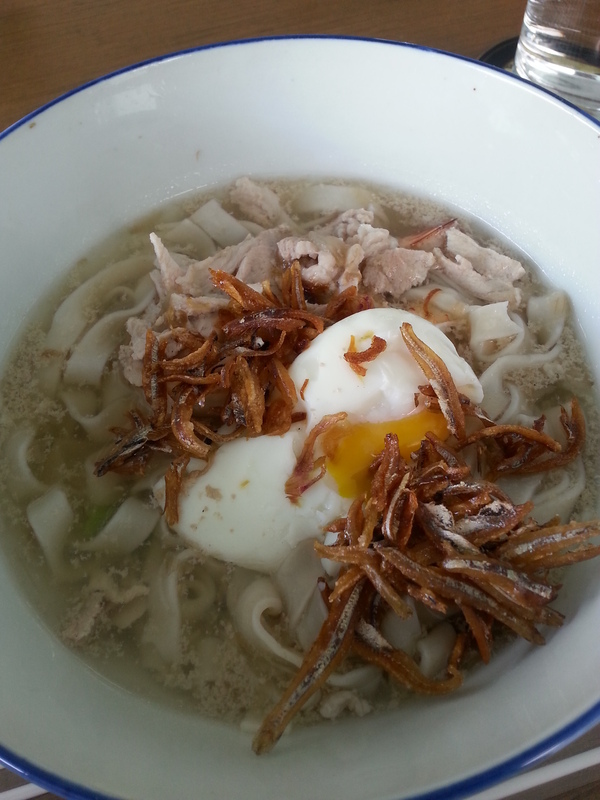 MEE JIANG KUEH – from my favourite stall, also at ghim moh market!!! its the best, srsly. till then, HAPPY EASTER, EVERYONE!! !